Last summer, while I was visiting the Urchin crew during my summer trip, I’ve spent a few days working on Tube in the nerdodrome. With Bassam, we had a discussion about cracks generation for the timelapse sequence. 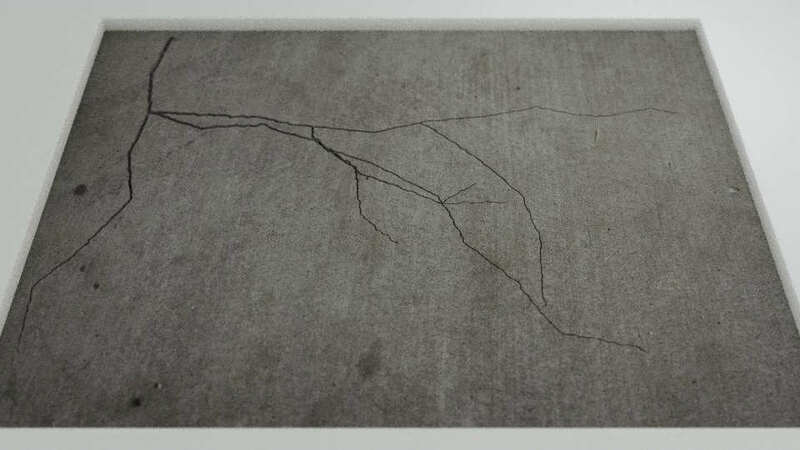 The environment for Wires for Empathy is mainly composed of concrete and we thought it would be kind of cool to have some nice cracks growing on the walls. 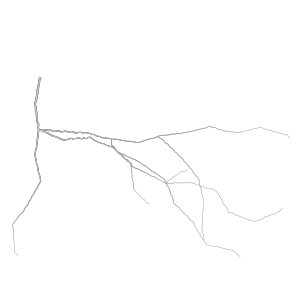 Generating cracks is not that hard, we can do procedurally, with some great results. This tutorial explains how to do it fairly simply. 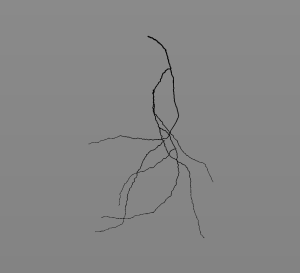 However, animating the cracks is a little bit harder and we cannot rely on the procedural method any more. We searched for examples and papers of people who already worked on this problem and found some great material. 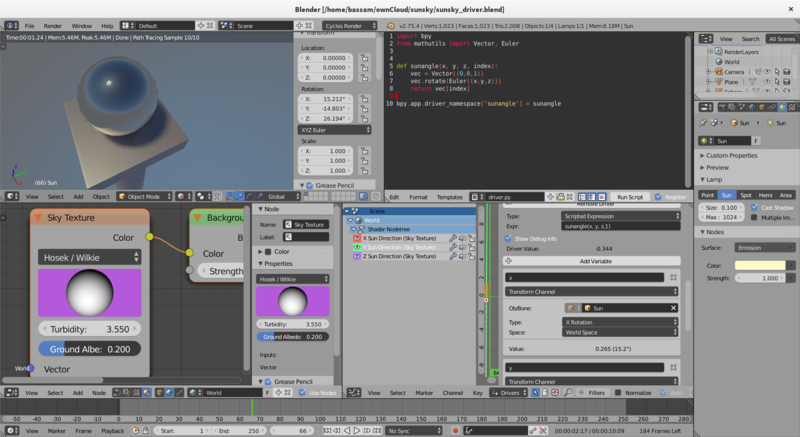 Unfortunately, most of the papers we found where based on heavy research and would include some serious C/C++ coding in order to have these tools inside Blender. Our first idea was to write an OSL shader that could generate cracks with some growing parameters that artists could use to control the speed and shapes of the cracks. 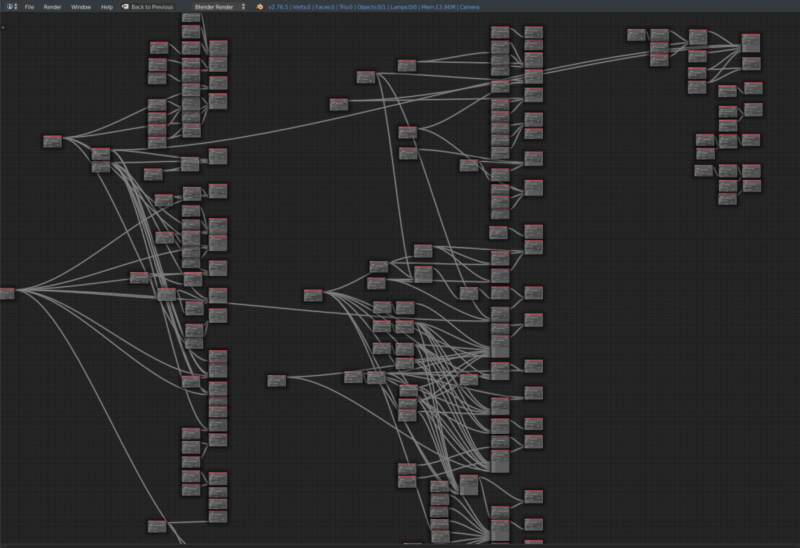 Moreover, our rendering pipeline is entirely CPU based so using some OSL would be a problem. 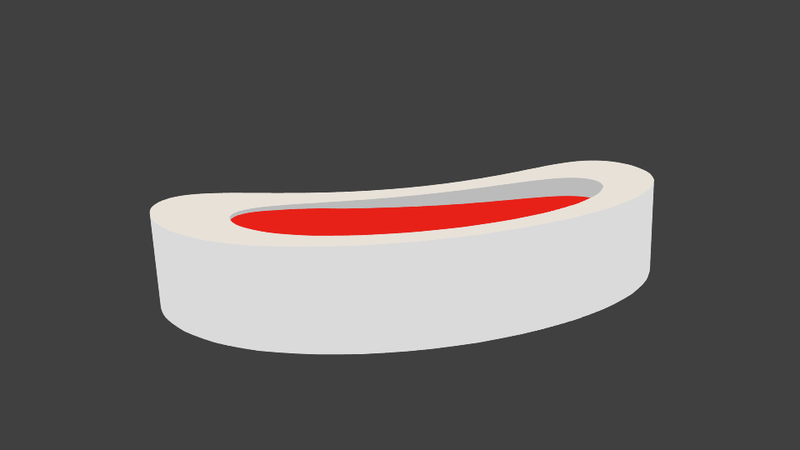 I’m sure it is doable in OSL, but I don’t know this language at all and even though I’m willing to learn this shading language, I would have spent a lot of time of time learning it, without being sure that I could achieve the result I wanted. 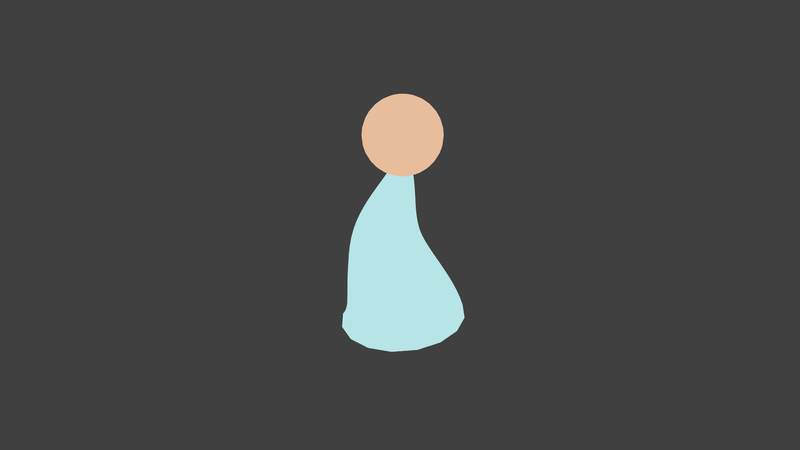 So I chose to use Python and to create a script that would manipulate Bezier curves to generate cracks in a procedural fashion. 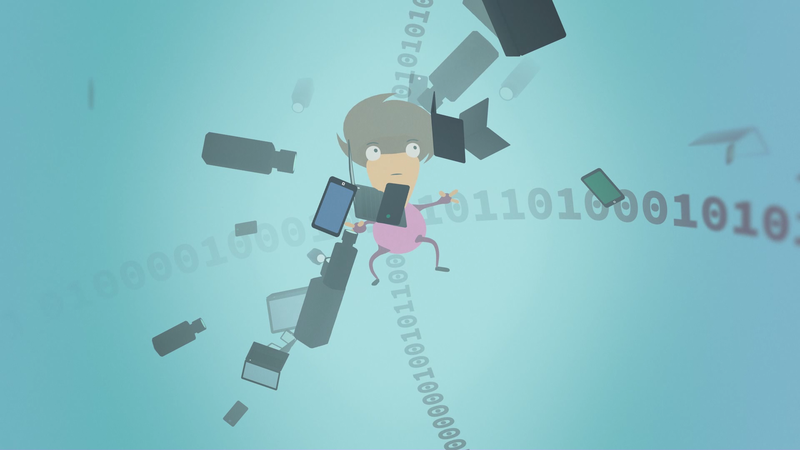 The generation algorithm is fairly simple and a based on a “branch” approach. 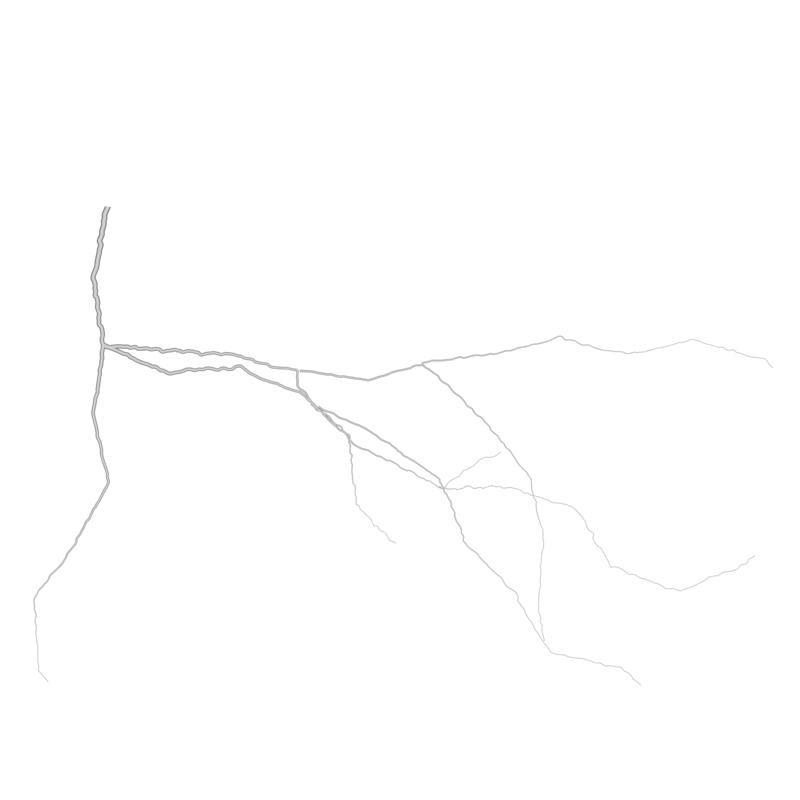 Complex cracks can be splited into small simple “branch” that can be easily generated and manipulated. To do so, we have a very basic recursive algorithm that create a branch a determine the position of its children on it. We then repeat the branch generation on the children and determine its ow children and so on. The following image shows how a complex cracks can be seperated into those branches. The following image explains our approach to approximate the shape of a crack. We can see that crack can be split into big segments (in blue) that can be split again into smaller segments (in red). 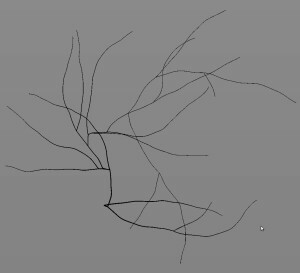 In Blender, we define a general direction for the branch, and generate points along it with small angle variations between each point. By default, every 5 points generated, we created a bigger angle variation (corresponding to the blue one in the image). We then convert theses points to a Curve Object. 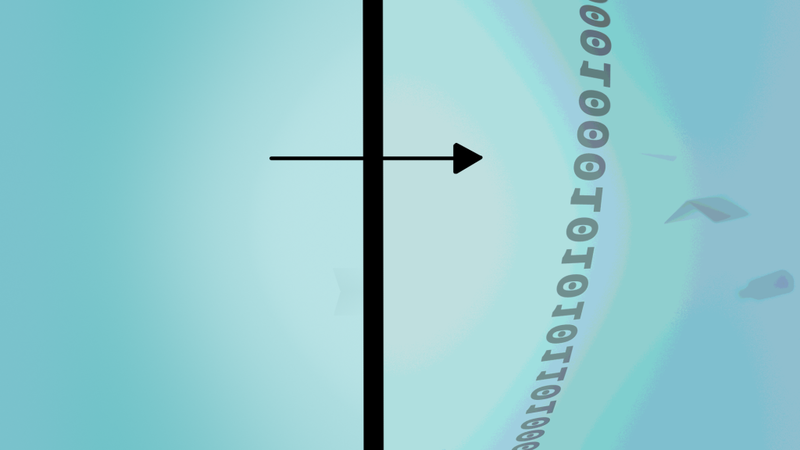 When each point is generated, we generate a random value between 0 and 1 and look if this number is smaller than the Children Probability defined by the User. If it’s the case, we create a child branch at the point position and store it’s relative position on the master branch. For example, if the tenth point of a branch composed of forty points has a children branch, we create this new branch with a ‘relative position in the master branch’ of 25%. 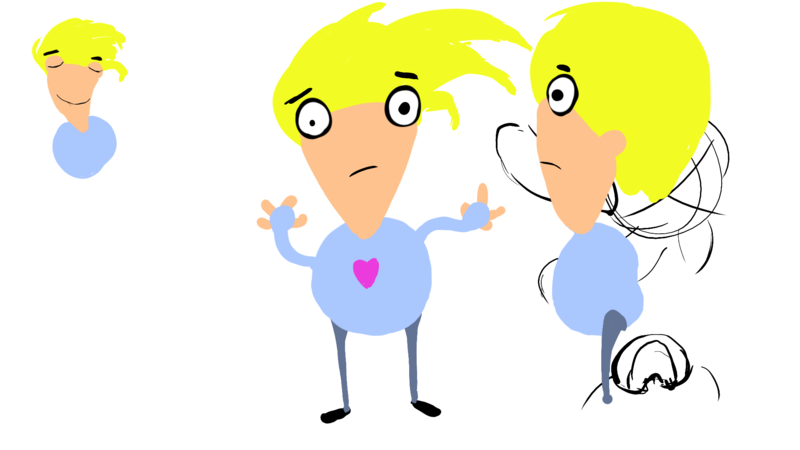 This will be very useful when dealing with the animation. As the algorithm for branch generation is recursive, we need a way to stop it. To do so, we simply decrease the child probability at every generation, so each generation of children is ten times less likely to have children than its parents. The previous image shows how, even if we have generated cracks with big angle values, it still appears too smooth. We need to add more displacement on the cracks. To do so, we subdivide each curve several times, select randomly some points on it and move them using the proportional editing tool with a random falloff. After some test, we found out that we have much better result by repeating this operation with small values several times instead of doing it in one go. The result is far more convincing with little displacement along the cracks. 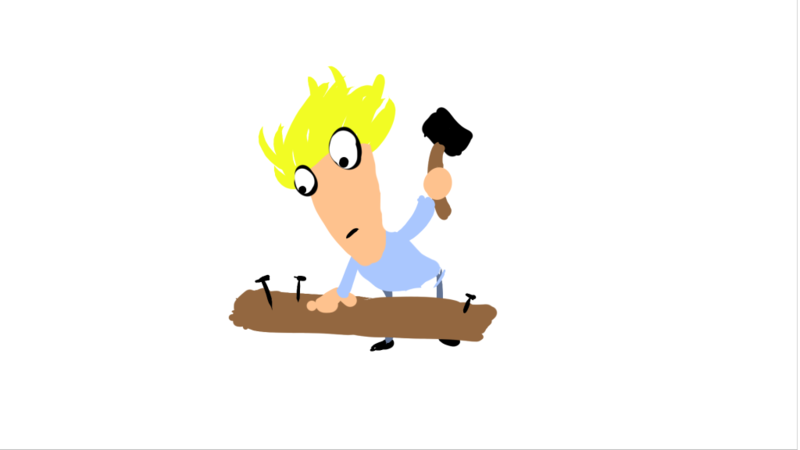 However, this step currently produce a small but annoying bug where some roots of some children branch get disconnected from their parent because they are displaced under the effect of the proportional editing tool. This bug is currently being fixed. 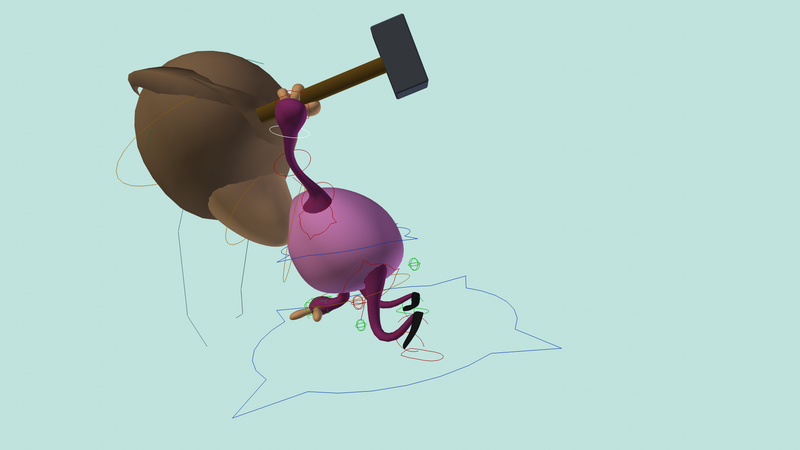 The script is used to generate the cracks and their animation as you can see in the following video. We use custom attenuation and displacement on cracks to get a more believable result. In order to make cracks interact with other object and surface, we need to export it as a sequence of images with transparent background. We will then be able to plug this sequence into a material or a modifier in the scene and generate cracks easily in the scene. 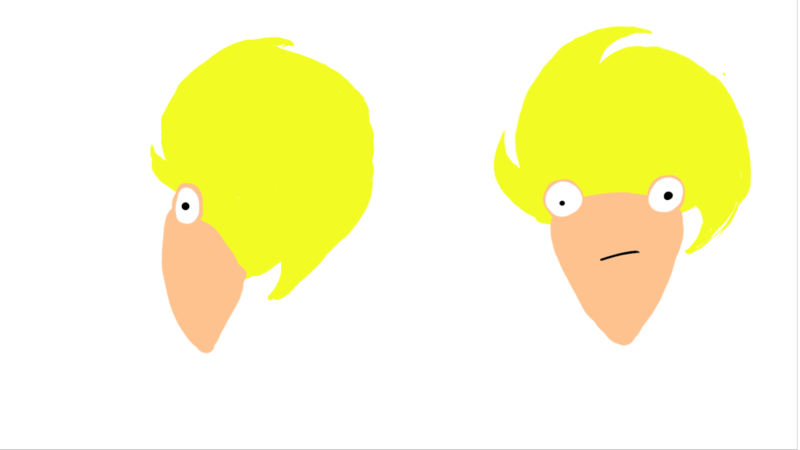 On the left we have an example of one of these image. 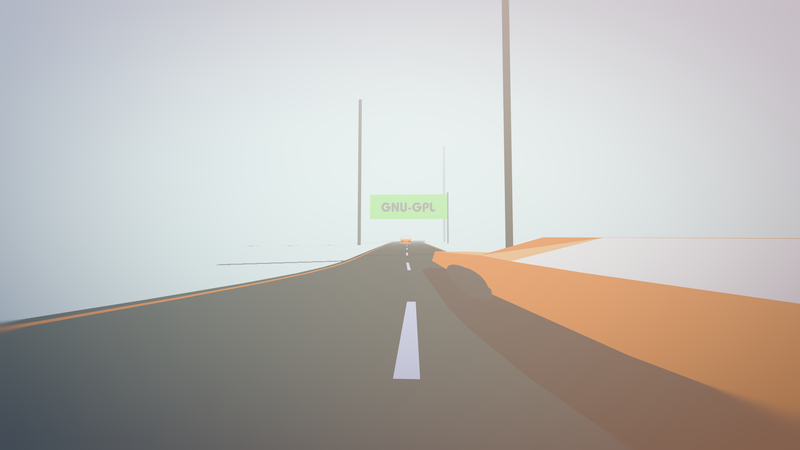 To render it, we simply do an OpenGL Render from the top view with an orthogonal camera. We also have applied a simple material with a black&white colorRamp so we can destroy the edge of the cracks later on. The image sequence is then used in the scene file, as a factor for displacement modifier on a highly displaced plane and as a mix Factor on the concrete material. 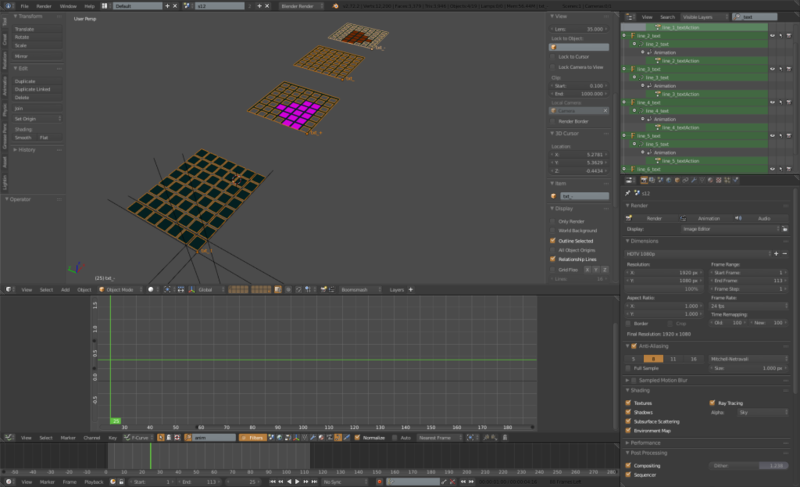 As we have loaded an image sequence, we only have to set the right number of frames to use and Blender will automatically refresh the image number to match the current frame and we have our animated crack ! 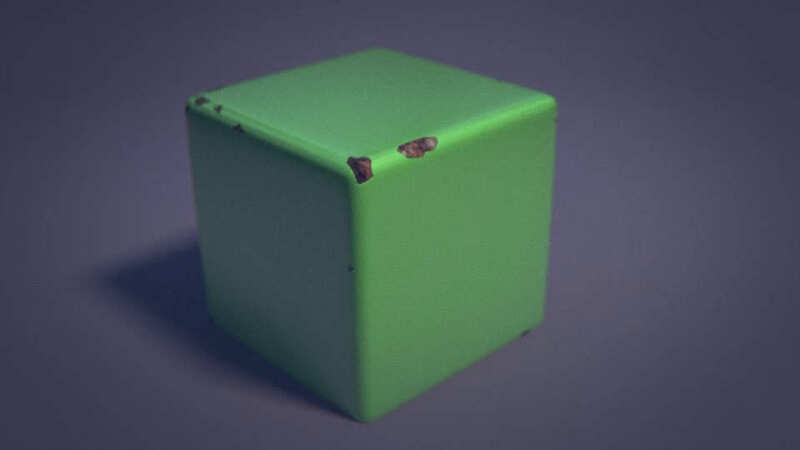 Currently, the tool is very limited and could be largely improved by adding new features like cracks generation snapped directly on a 3D surface. This is doable as we first generate a point cloud, we could snap each point on the target surface as we generate them. One of the biggest limitation is the fact that we don’t have access to all the modifiers we want as we manipulate curves. For example, we don’t have access to dynamic painting or boolean modifiers. 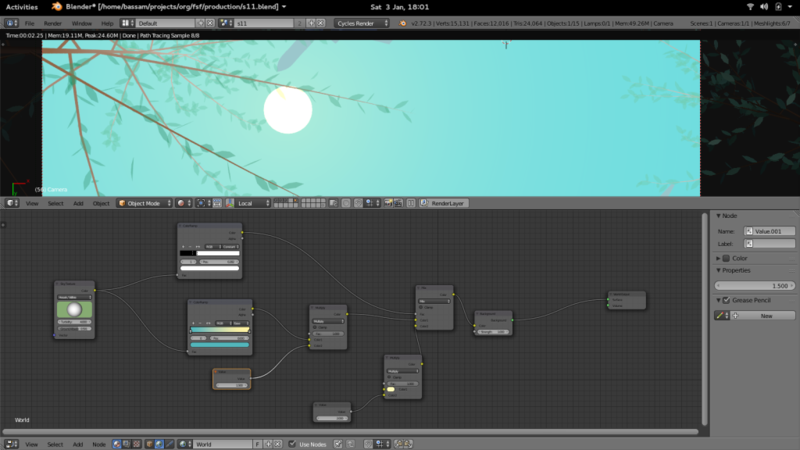 Keep in mind that this a tool to generate background and secondary animation in some timelapse sequence. Our needs are quite limited and our plan is to generate a few different cracks that artists can then plug easily into their scene and add some details without spending days with painting cracks manually. The script can be download here. 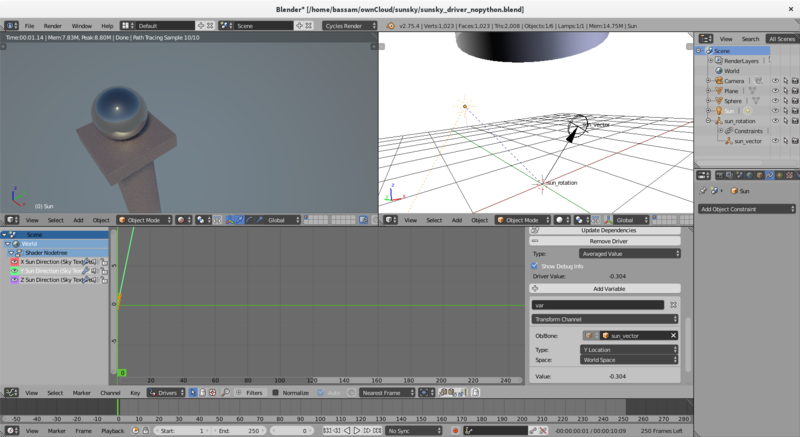 For now, it is only a script, so you’ll have to load the file in the blender text editor and run the script from here. Cracks Generator is added as a new tab in the tool-shelf of the 3D View. Hello everyone! We’re very sorry about the slow pace of updates in the past – we’re trying to do better with this and we’ve resolved to fix this in the new year. We really appreciate you patience and kindness in waiting for us and supporting us so far, and hope that the film will justify your expectations and your support. The fact that we’ve been slow on updates, doesn’t mean we haven’t been working on the film – we’re a tad resource constrained but making progress nonetheless, with a good sprint last summer and some steady work since then. A lot of this work is technical, but there’s a lot of art and results to show from it. Last summer we had high occupancy in the Drome (2 local artists including myself, 3 students, and a visit from Henri who worked with us for 2 weeks) since then we’ve lost the students to their classes, but otherwise work has continued smoothly. We’ve been working on a wide variety of areas, including 2D art (for signs, posters, and miscelanous in the station) animation, lighting, and coding. 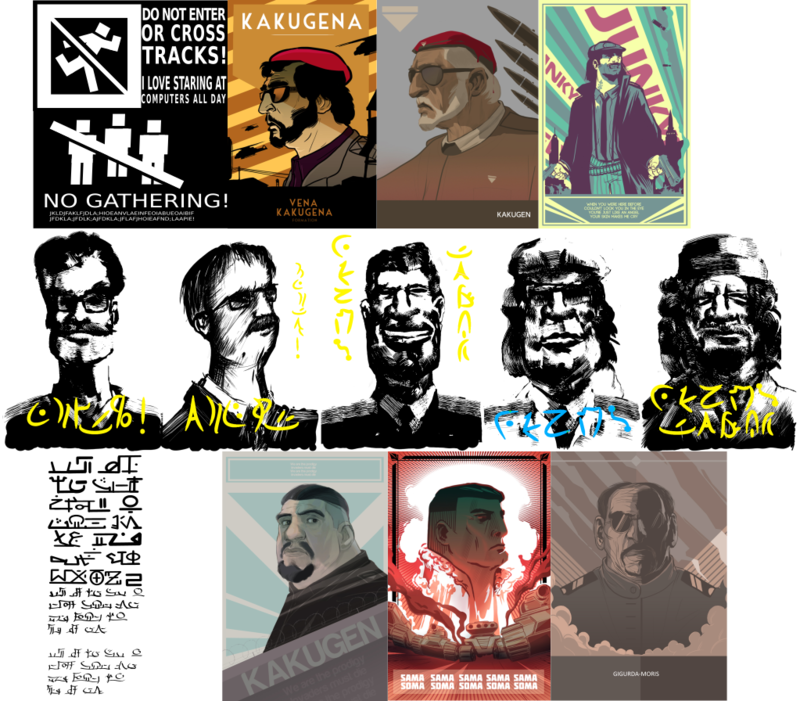 And of course, much of the work has been done by artists working remotely. we have a total of 48 shots in the project. Of those, there are 4 that aren’t done (one of those currently being worked on) and 7 that currently need fixes – ranging from minor tweaks to reanimation. Incidentally, the 4 shots that are not done require some effects animation – they are highly technical in nature, and we pushed them later in the schedule so we could beef up our technical pipeline and make them more feasible. 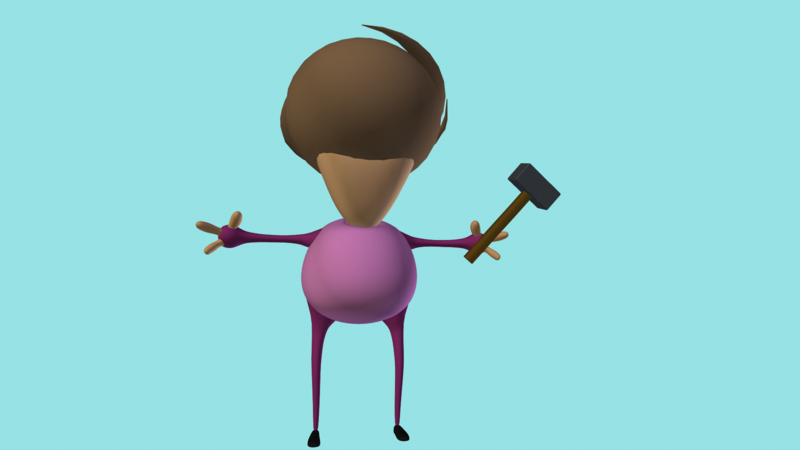 (more on this later) The following are examples of some of our animation fixes (after fixing): Animation fixes by Gianmichele Mariani, Chris Bishop, and Tal Hershkovitch, based on original animation by Virgillio Vasconcelos, Luciano Munoz and Jeenhye Kim. This is a very complex challenge, both artistic and technical. There are 18 timelapse shots in the film, of varying difficulties – 3 of them are done, (but do need a few tweaks), the rest not. There’s a massive technical challenge to these shots, so we’ve been building our technical pipeline to make them work. These shots should go next. 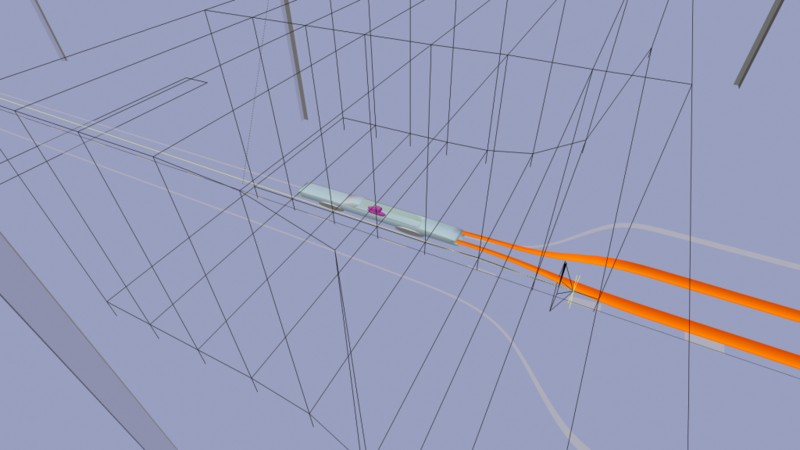 As you’ll see from the next examples, these are being done wholesale: animation, lighting and rendering – due to the importance of surface detail during timelapse, we need to see their timing in connection with everything else. Here’s two examples a2s49, and a2s21 – the latter was tweaked over the summer, the former was started this summer only. 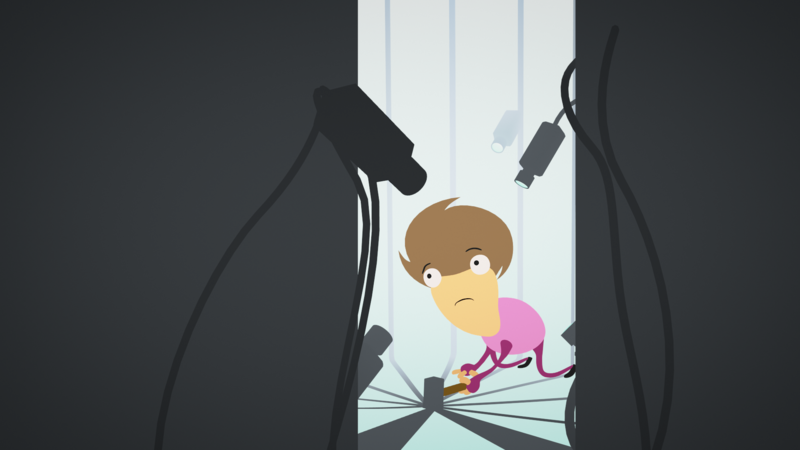 missing in the above preview is the foreground and background character animation (both complete) – oh and by the way, the same crowd system works for any character rig, including humans. 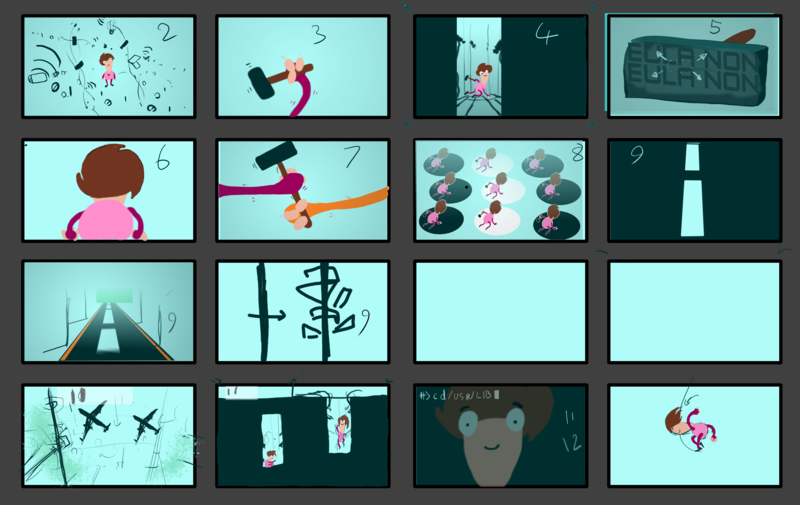 Instead of just ‘camera, characters, and props’ we have many shots (roughly a third of the film) where literally everything on camera is being animated. 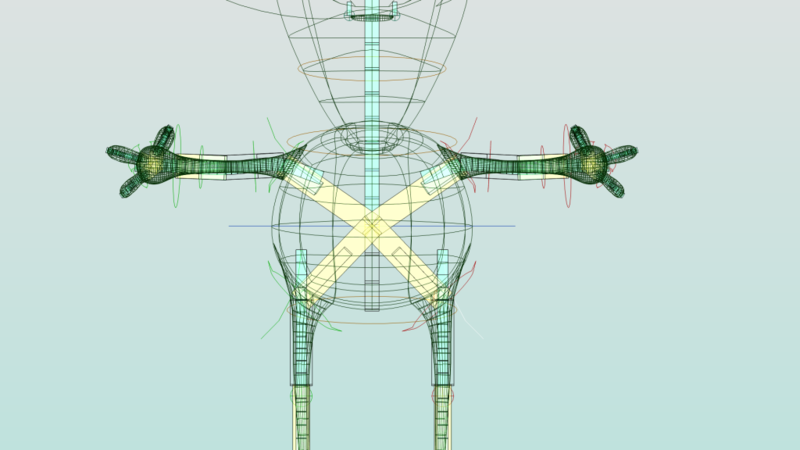 Timelapse changes don’t just deform object, they change topology, or get replaced whole. 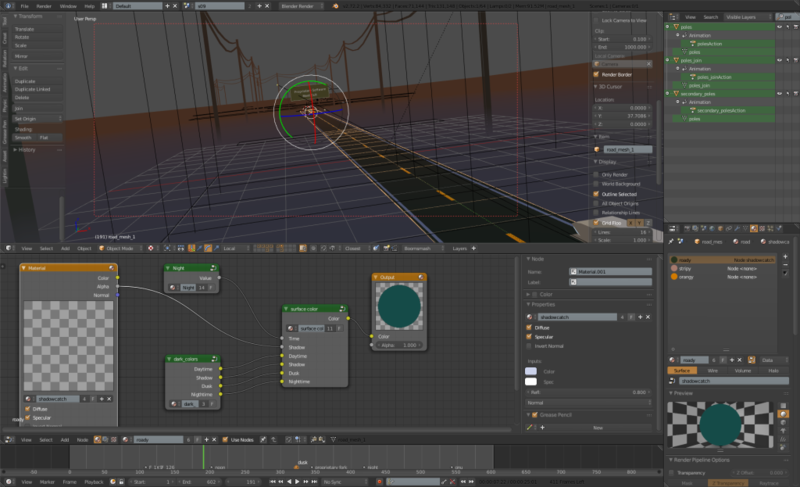 In a typical shot we don’t animate the surface materials, but those become the most critical part of a timelapse. 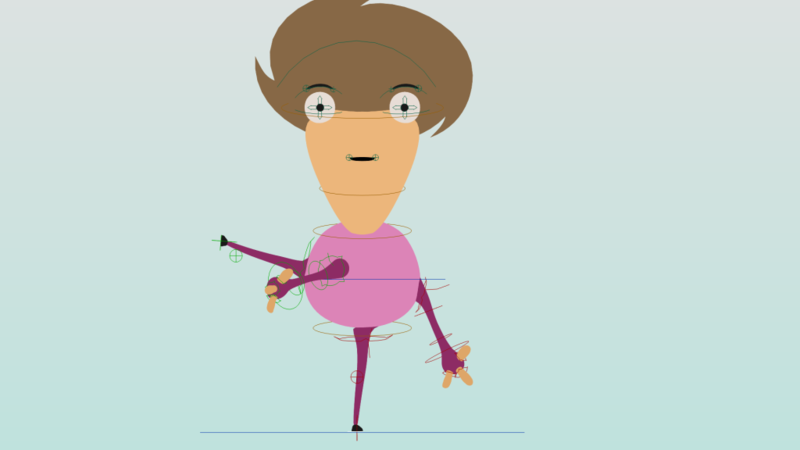 Because this is unusual animation, the built in tools of animation programs (like Blender) aren’t optimized or setup to make it really easy – compare to character animation that gets a lot of attention. So we attack the problem from general to specific and from specific to general. We work shot by shot, finding problems and solving them. But then we spend time analyzing our needs and developing tools and reusable assets that will work for many shots. One such shot is a2s49 (shown earlier), a cut-away shot, and one of our tools is a blender plugin called timelapse toolbox that has many features we identify and add to it along the way. More elements that we know we’ll need, we can tackle on their own: Cracks growing, Aging materials and surfaces (think rusting metal, peeling paint, concrete, etc). 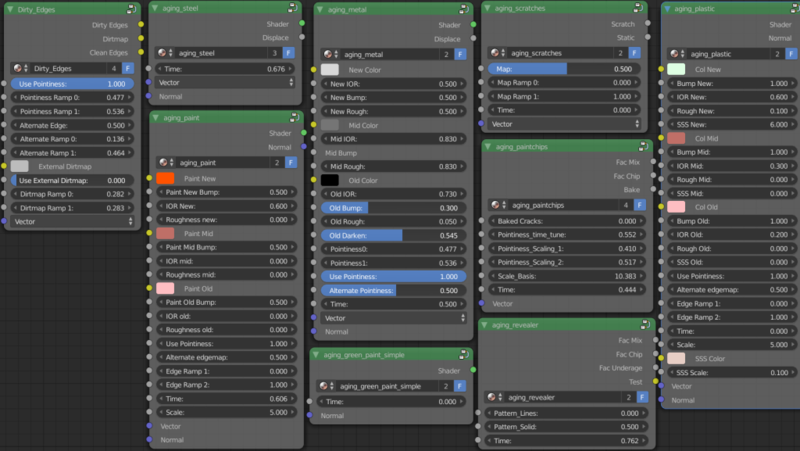 All results from these are also assisted and lead to modifications and additions to the timelapse toolbox, in this case dealing with material animation, and also to a growing shader library that will be used across all shots. 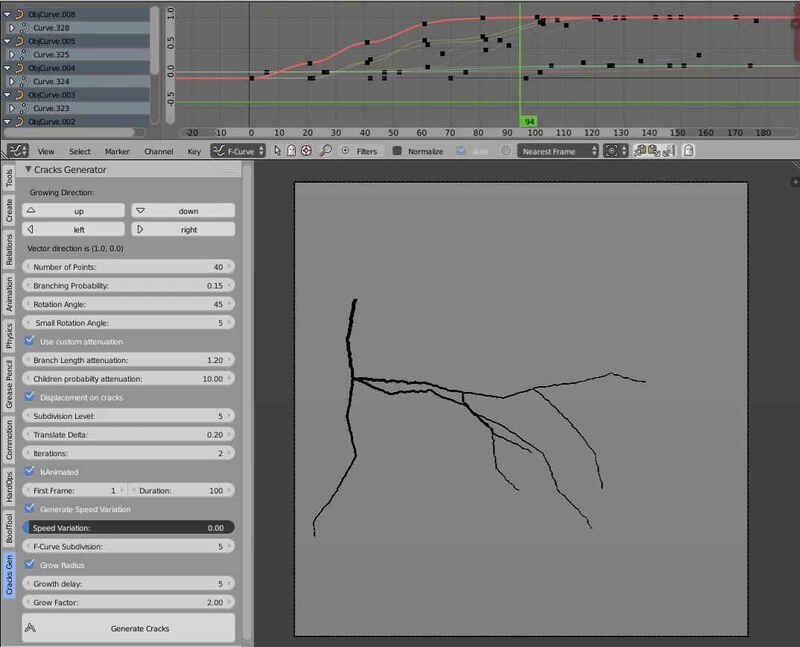 Another really interesting plugin is the crack generator by Henri Hebeisen. 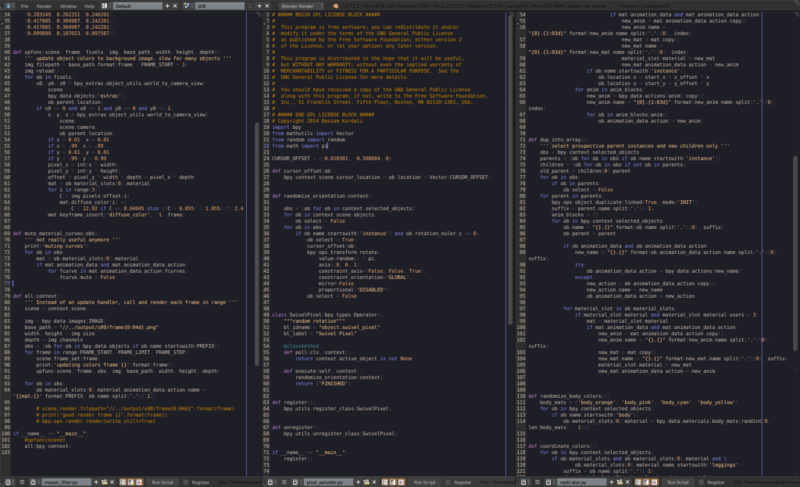 It’s a fully procedural python program, that generates cracks that can evolve over time. 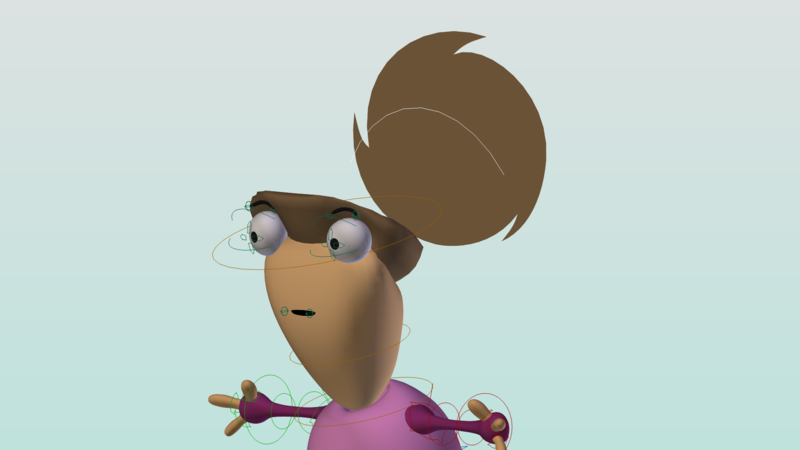 Highly flexible as to shape, timing, and placement, it generates animated Blender Curve objects that can be rendered to textures, shown directly in the viewport, or used as brushes for dynamic paint or boolean operations. 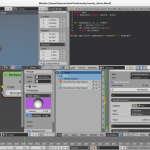 Another important tool that was completed recently is our meshcacher – a tool designed to add features to Blender’s current limited caching capabilities. Since timelapse toolbox, the meshcacher and the crack generator are interesting technical topics, we’ll cover them in more detail in future updates. So it looks daunting (and it is) but it is on a very high level of detail. 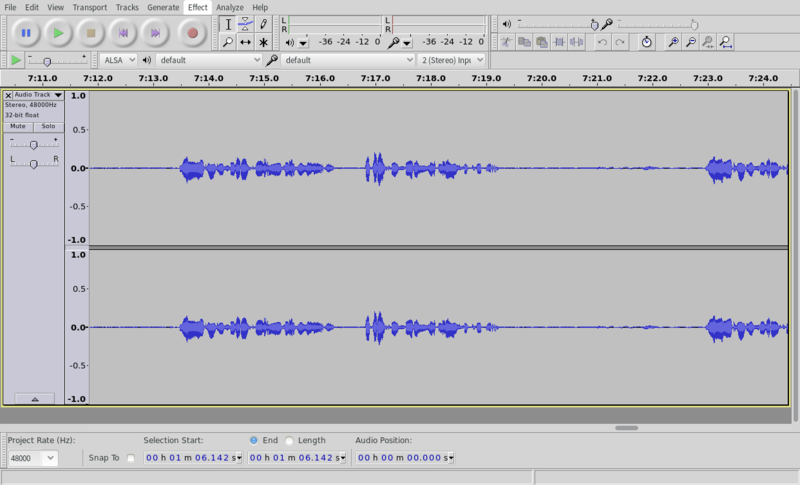 the 3 columns represent the three acts of the film, so the bulk of our remaining tasks are in the second act. In conclusion, thanks for your patience, and many apologies for the delays in the project and the long periods of time between updates. We’re resolved to do better in both regards, so we’ll have have more soon, showing technical milestones, new artwork, and project details. Hi folks; a mini update in form of a tutorial! Two of our timelapse shots have the outdoor sky above; one just for the lighting and reflections, and the other – which is now scattered across half a dozen blendfiles – actually has some honest-to-goodness sky and clouds visible. There’s a bunch of interesting stuff going on in these shots, but for now, I’ll focus on the humble World background. So that’s our raw setup that we’ll start from. It’s noon over the equator (I guess) and the sun is directly overhead. You’ll see that in this default state of both the Sky Texture and the Sun lamp (as seen in the chrome ball reflection) line up perfectly. It’s also one of the most boring lighting setups. Download the .blend file here. We can rotate the sun lamp directly to change the angle of the sun. Unfortunately, this doesn’t automatically change the world background. We need to fiddle with the Sky Texture Sun Position widget to match the glow around the sun and the sky simulation with the actual lamp position. Sadly, that’s easier said than done, as the widget doesn’t really help us orient north/south/east/west very easily with the viewport, and is not a very accurate input method. The rotation of the lamp is the angle of the sun’s rays – The location of the lamp doesn’t matter. By using the snippet as a driver: We can also put the formula into a driver namespace and drive the value directly, and have it return the x, y and z value. Then we need to press ‘D’ while hovering over the Sky Texture Sun Position Value (or right click and Add Driver) and then Edit the X, Y and Z values to get the x, y and z rotations of the sun and feed them as variables into a scripted expression. This will now update ‘live’ even during rendering. But it still requires that you have Python scripts autorunning, and there’s a slight chance that scripted expression Python drivers will cause crashes with multithreading. In addition, we now have the inconvenience of both writing Python and doing a fair amount of clicking and setup for this to work. There are some problems to our Python solutions, they might not work on some people’s Blenders, crash, not update, and they require some coding knowledge. So we need another way. fortunately we can set up our formula in the 3D view with empties instead! 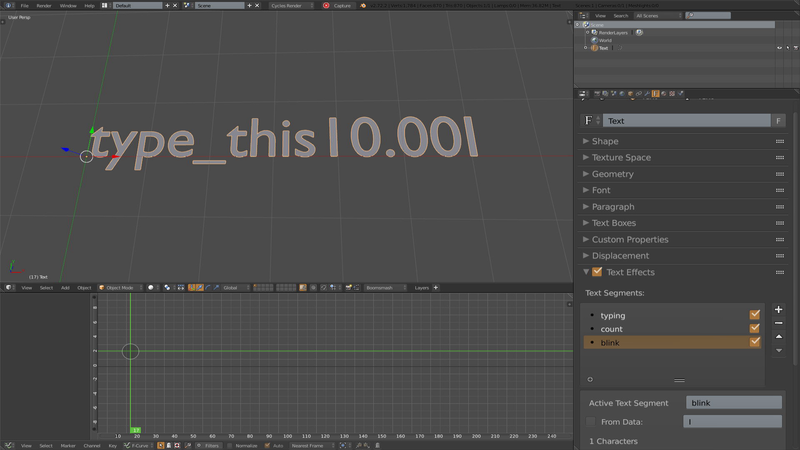 Create a new Empty called sun_vector, and place it at location 0,0,1. This is now our 0,0,1 Vector. Make the sun_vector a child of sun_rotation. 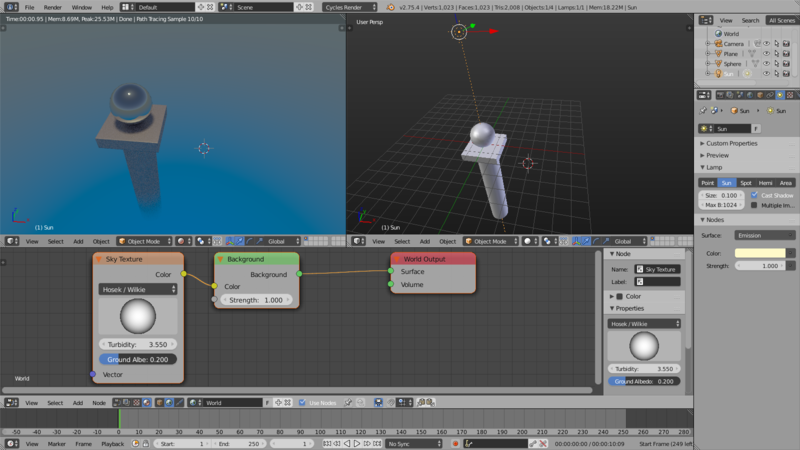 Re-enable the copy rotation constraint on the sun_rotation empty. Now we are done! 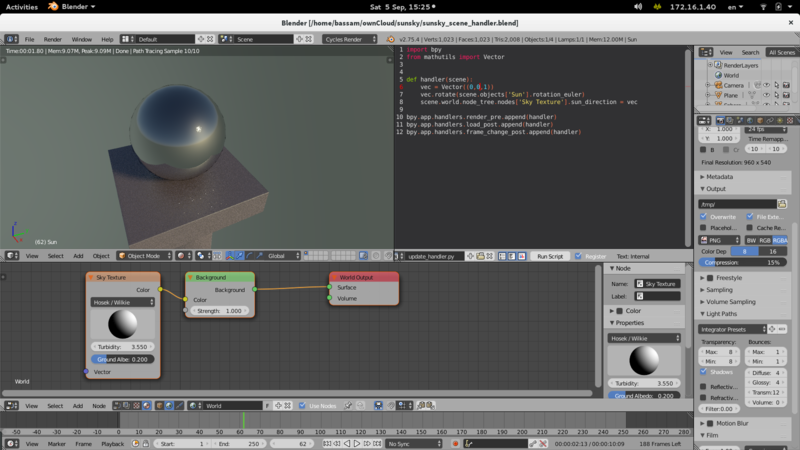 Our scene will update automatically on sun rotation, no need to wait for a frame change , and it does not depend on the user or renderfarm enabling python scripts. Example blend here. For tube shots we wanted a bit more: a visible sun disk in the world (that doesn’t light the scene) and a nighttime mode with stars and horizon fog (maybe a moon for the future) so we did a bit more and rigged it with an armature. 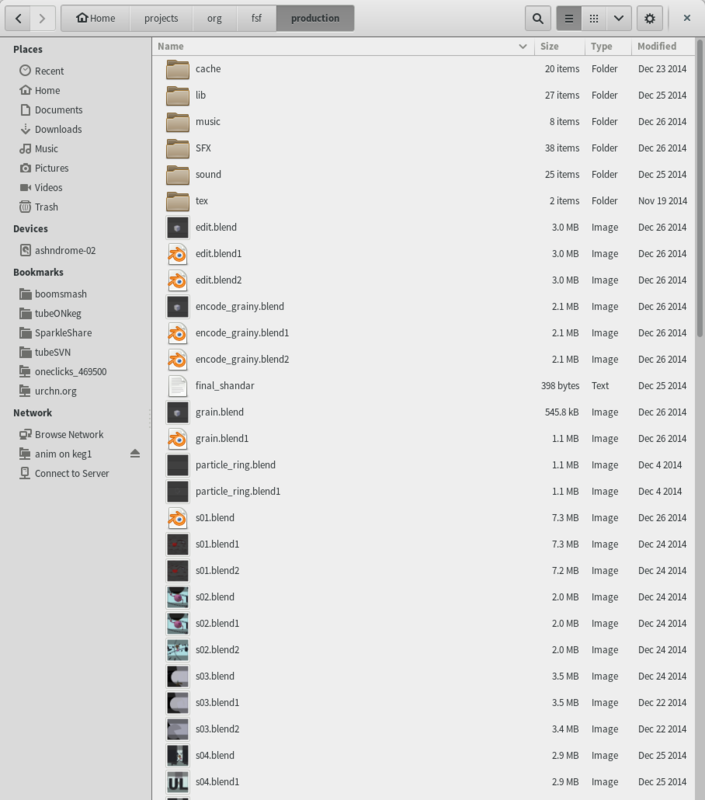 Feel free to examine the file. There’s been some radio silence while I dealt with a death in the family, so I’m excited to begin catching up on Tube Project news! We have a tendency to post unheralded micro-updates and releases in various corners of the internet — on Twitter, G+, Youtube, and at conferences as well as here on our production blog. Bassam has begun video-documentation of custom tools built for Tube in his ‘Add-ons for Empathy’ series (Floating Sliders, Proxies and a Bonus). 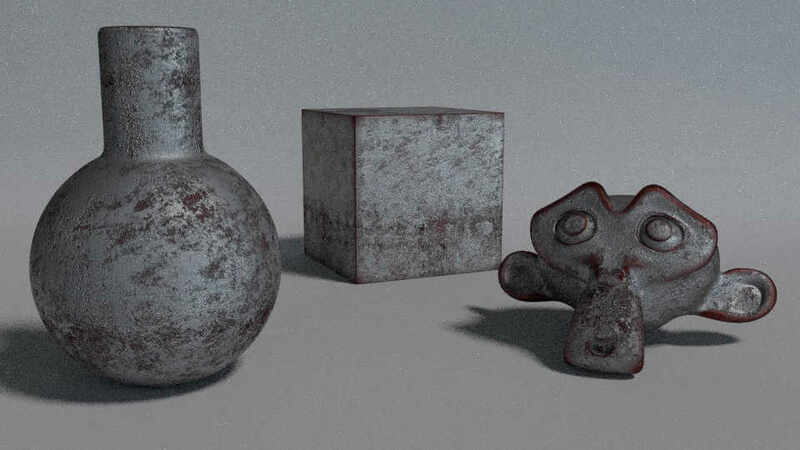 We’ve hesitated to release our tools until the film is done, when we’ll have more time to maintain them and create supporting materials — but for the adventurous and Blender-interested among you, we are releasing a selection of them as free/open source software. Playing to his creature strengths, Tal Hershkovich recently finished animation on one of the most challenging shots of the movie — a roach fight! We’re also happy to have Henri Hebeisen back with us, doing great work using particle systems to develop the title animation. 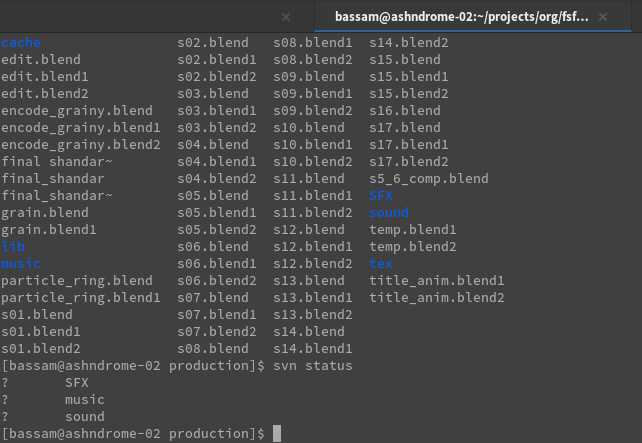 In October the project had reached nearly 30,000 lines of code — and the same weekend we noticed it, Bassam wrote 500 more to facilitate the timelapse animation. He’s also written a wiki entry explaining it, http://wiki.urchn.org/wiki/Timelapse_tools.